Print your diagrams just the way you want them by saving and reusing print configurations. You can specify and see print boundaries on the canvas, selectively print subsets of your file's pages and masters, and maintain multiple configurations in a single file as separate "print generators". Save multiple print configurations in a single file via RP's "generators" system. This is useful when you have several configurations you use regularly (e.g. for different audiences) because it means you don't have to re-specify every setting in the Print dialog each time you want to switch back and forth. In the Print dialog, click the "More Print Configurations" button, or use "Publish > More Generators and Configurations" in the main menu, to open the Generator Configurations dialog. Use the "Add" dropdown and choose "Print" to add a new print generator to the list. Name your new generator and then click the "Generate" button to configure and use it. Go to "File > Print" in the top navigation to open the default print generator. To go to a different print generator, click the "More Print Configurations" button at the bottom-left of the Print dialog or navigate to "Publish > More Generators and Configurations…". With your chosen generator now open in the Print dialog, click the "Print" button at the bottom to print with that generator's settings. View print guides that show the print boundaries on the canvas so you can organize your diagrams around printed page sizes when needed. To turn on print guides, right-click on the canvas and choose "Grid and Guides > Show Print Guides". The guides will appear based on the paper size settings for your default print configuration (see below). 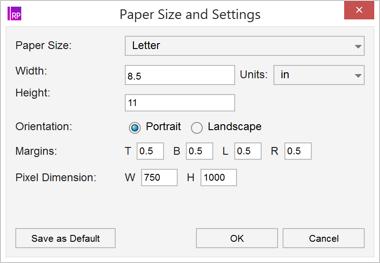 Specify the paper size in the menu "File > Paper Size and Settings". Paper size: Choose from preset paper sizes in the dropdown menu, or choose "Custom" to enter a custom size. Width, Height: Use these fields to enter a custom paper size. Units: Choose inches or millimeters as the unit of measurement for the width, height, and margins. Orientation: Choose portrait or landscape orientation. Margins: Specify the top, bottom, left, and right margins. Pixel Dimension: Specify the number of pixels that will fit on each sheet of paper. 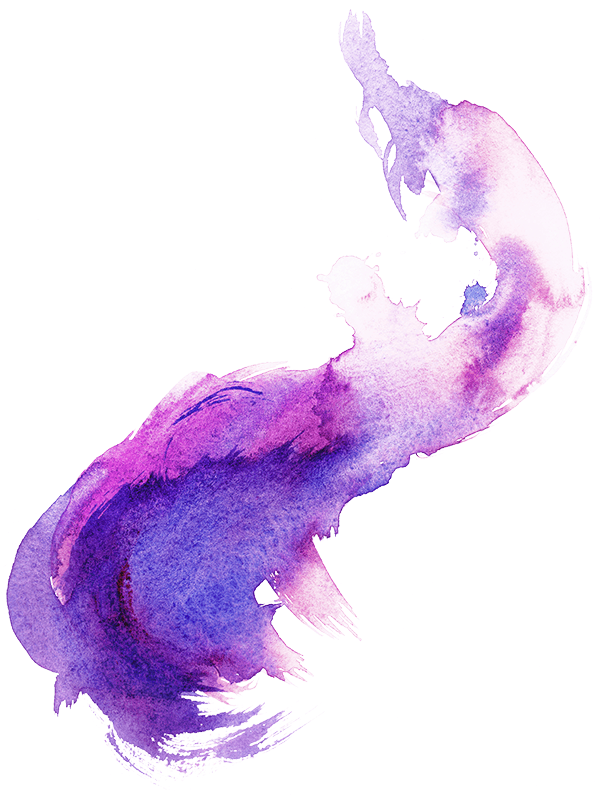 The aspect ratio will be maintained to match the aspect ratio of the paper size minus the margins. 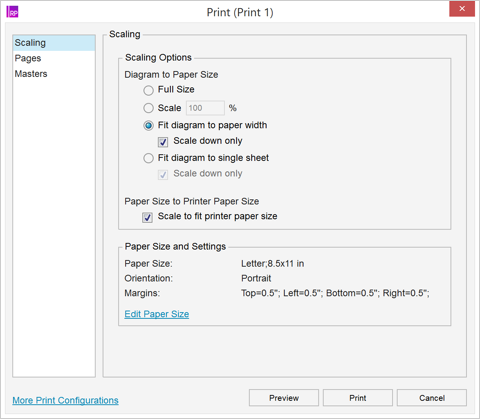 The "Scaling" section in the Print dialog provides the following options to scale a diagram to the paper size. Full Size: Print the diagram at full size, regardless of how many sheets of paper wide and tall it is. Scale: Choose to make the diagrams larger or smaller by a specified percentage. Fit diagram to paper width: Use this option to fit the width of a diagram to the width of a single sheet of paper. The diagram may still be several sheets tall. Fit diagram to single sheet: The diagram will be resized proportionally to fit onto a single sheet of paper. The "Pages" and "Masters" tabs in the Print dialog let you choose which pages and masters to include for printing in your configuration.